Anthem is an upscale community within Henderson, Nevada, the second largest city in the state. Living in Sun City Anthem is a wonderful idea, no matter what your age. Anthem homes are all within a very short distance of one of three Anthem community centers, which contain various courts for different sports, computer labs, classrooms, fitness centers, indoor and outdoor pools, tracks, and even a spa. Many Anthem property owners enjoy memberships at either the Anthem Country Club or the Revere Country Club. Both have well kept, beautiful, and scenic golf courses that are famous for their stunning views of the Black Mountains. 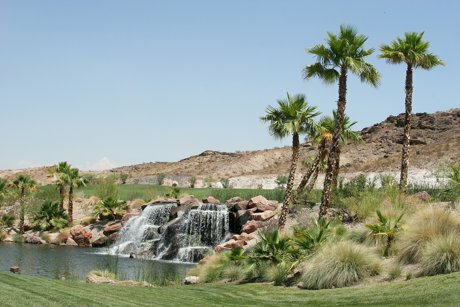 Within walking distance of most Anthem homes is a public park. Anthem Hills Park and Anthem East Trailhead are examples of one of these lovely, local parks. This 53 acre park consists of well lit ball fields, barbecue grills, lighted basketball courts, covered picnic areas, open grass fields, playgrounds, public restrooms, a roller hockey rink, lighted skate park, volleyball courts, and a walking course. Anthem property owners never have to worry about going hungry! Two residential favorites are Craft Kitchen - an organic, completely locally grown restaurant fueled by passionate chefs, and Duzan Mediterranean and Tapas - know for their Middle Eastern style pastries, bread, and entrees. Other local favorites are I Love Sushi, known for its varied selection of fresh sushi, and Crepe Shack & Waffles for a unique breakfast or anytime treat.